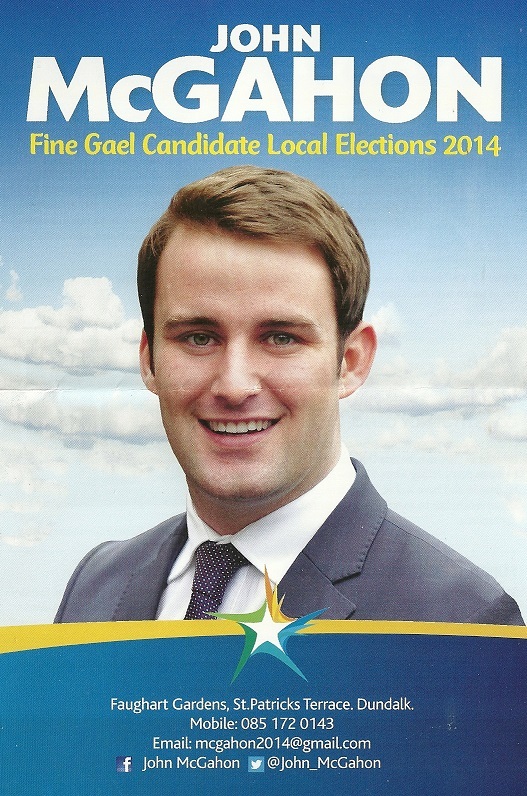 From the 2014 Local Elections a second leaflet from Fine Gael Dundalk Carlingford candidate John McGahon. 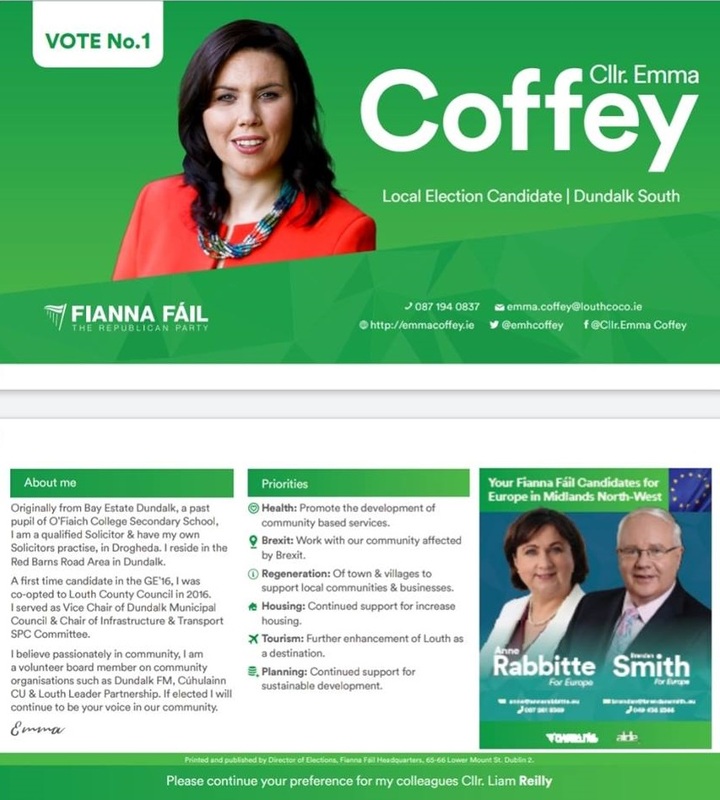 The Leaflet has updates on various local issues for voters as well as the news that he has opened a constituency office. 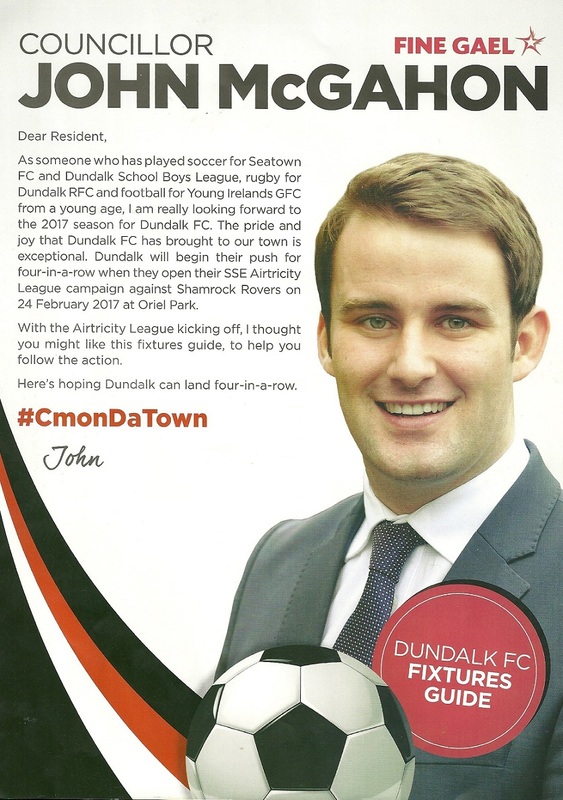 From the 2014 Local Elections a leaflet from Fine Gael Dundalk Carlingford candidate John McGahon. The Leaflet introduces him to voters. 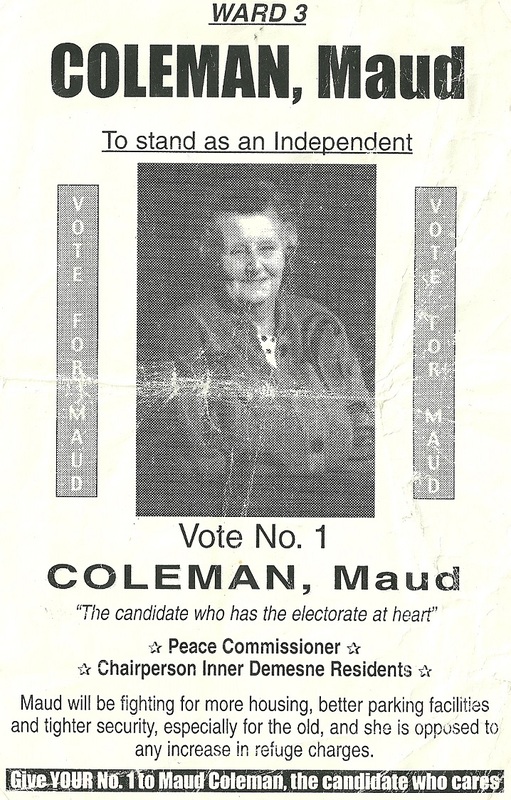 From the 1999 Local Elections a leaflet from Independent candidate Maud Coleman who was running in Dundalk Ward 3. Coleman polled 164 votes and missed out on a seat. 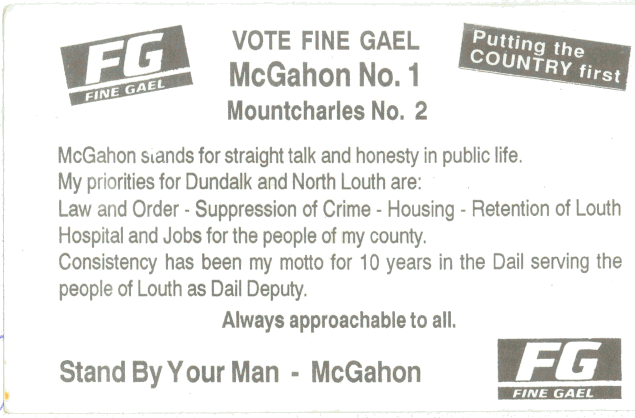 From the 2004 Local Elections a flyer for Johnny McGahon who was running for Fine Gael in Dundalk-Carlingford. McGahon (a brother of former TD Brendan McGahon) polled 607 votes and failed to win a seat..
From the 1992 General Election a flyer from Fine Gael candidates in Louth Brendan McGahon and Lord Henry Mountcharles. McGahon was elected, whilst Mountcharles, of Slane Castle fame, polled 4,161 votes and narrowly missed out on a seat.